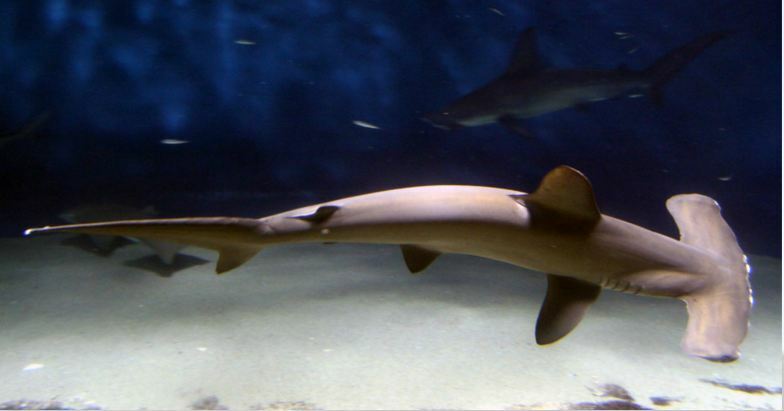 Hammerhead sharks have wide fin-like projections on either side of their heads. This creates the look of a flattened hammer. Their eyes and their nostrils are at the extremities of these extensions. The reason for this unusual head structure appears to be that the distance between the sensing organs allows the hammerhead to pinpoint its prey more precisely and to locate smaller prey. As with all sharks, humans are not the hammerhead’s natural prey. Some hammerheads, however, have been known to be dangerous to humans. These include the great, scalloped, and smooth hammerheads.